This skirt was on top of the list. I was inspired by the RTW trend of woven mini skirts that was around during the last couple of years. 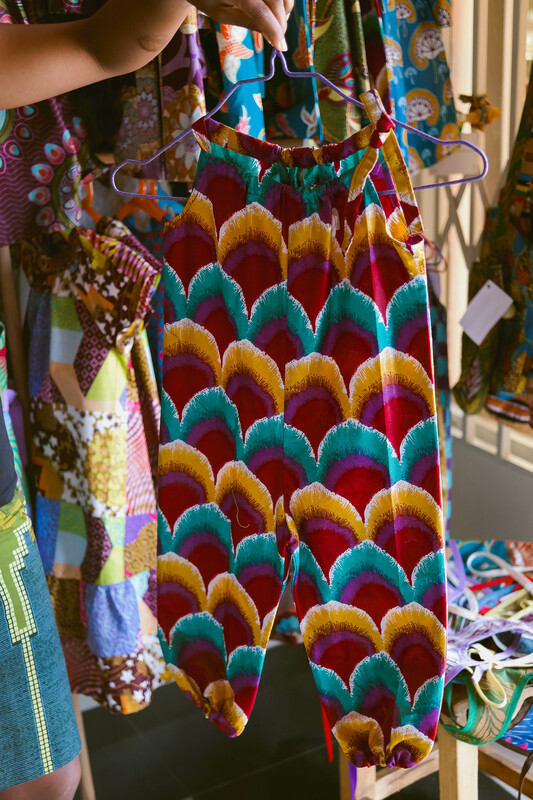 Skirts in this category typically have a complex woven texture, sometimes described as “aztec” (hello cultural appropriation), and a simple shape that gently flares out from the waist. I bought my fabric on Etsy. It looks to now be out of stock (sorry!) but they have some other similar pieces. I love the colour combination – turquoise, navy, peach and little flecks of coral that pop a lot more in real life. I ordered some navy anti-static polyester at the same time, to use as lining. Whist I definitely don’t need extra layers out here, I think this is a skirt that would work well with tights back in Europe’s cooler climbs. Whilst searching for the perfect pattern – essentially something which would help me keep those stripes straight – I came across this awesome post by Tasia of Sewaholic, who had the very same project idea as me back in July. She used Deer and Doe Anemone as her pattern of choice – a panelled skirt where each panel flares out slightly, meaning the hemline can be kept straight. Based on the feedback of Tasia and other reviewers I decided to take 2″ off the top and add 2″ to the hem, making it slightly less dramatically highwaisted, and slightly more modest. Having made those adjustments to the paper pattern I cut a straight size 40 and made no other fitting alterations. I cut out on the flat, using the hemline and notches to make sure the stripes all lines up across the pieces. I managed to squeeze everything out of 1m of fabric, although I did have to stagger the pieces to make them fit. I was terrified that the fabric would unravel as soon as cut into it but it was surprisingly nice to work with. Nonetheless I zigzagged all my pieces before starting assembly, just to be sure. The instructions that come with the pattern are pretty sparse and assume some basic knowledge, but would be fine for a confident beginner. The only divergence I made (apart from skipping the peplum) was to machine stitch the hem. This was partly because I wasn’t sure the thick woven fabric would stay cleanly folded up if it was just hand stitched to the hem… but also partly because I hate hand stitching (yes I said it), and the fabric is so busy that the machine stitches disappear anyway. The final verdict is two thumbs WAY up. I love this skirt. I love the shape, the fit and I’m super proud of my stripe matching. Having finished it I wore it two days in a row, the ultimate (self) compliment. I’m hoping this is a good omen for 2016 and there’s plenty more successful sewing ahead! P.s. here’s a funny outtake Mauri captured of me enjoying a fleeting cool breeze like a labrador with its head out the car window… It is SO HUMID at the moment people and I am not built for it. Send ice. It’s that fun time of year when everyone is looking back over last year’s makes and setting goals for 2016. For my part, 2015 was full of wonderful new experiences. 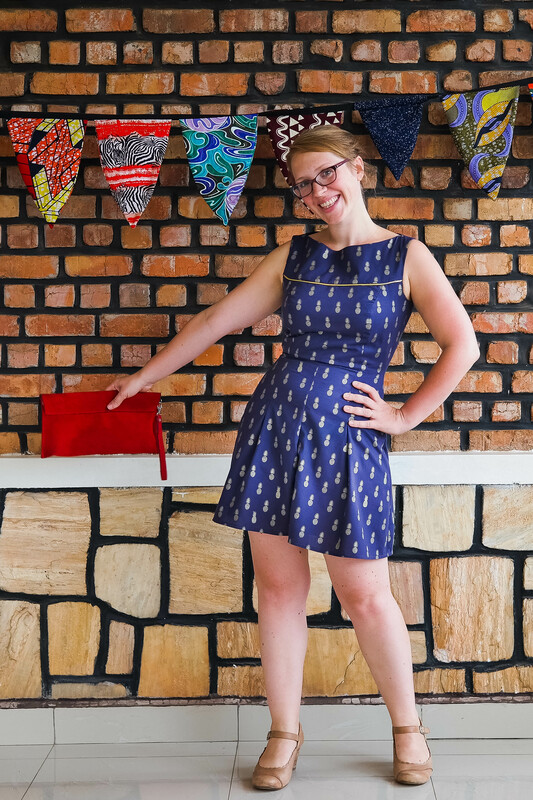 I moved to Rwanda to start a new job, meaning I got to explore local fabric markets, buy beautiful waxprints, and meet fantastic local sewists. I haven’t actually counted but I’m pretty sure I sewed more this year than ever before. Since I slacked off blogging towards the end of the year, I thought I’d put an amnesty post together with some of the things I made but didn’t get round to sharing. First up – True Bias Southport Dress in Nani Iro double gauze. This was my second go at this pattern (first one here) and I love it. It is the perfect floaty maxi dress for hot weather and I’ve already got a third version in mind. I also love this fabric. I internet stalked it for an embarrassingly long time before taking the plunge. The print is just gorgeous and it’s super soft and comfy to wear. I did have a bit of a mishap with the pattern however. I tried to scoop out the neckline a bit but overdid it and had to take up the straps to compensate. this made the waistline a little more empire-line than intended, but I love it anyway. It definitely gets a lot of wear. This is a great quick little sew with some lovely details. I love the huge pockets and topstitching. I also love the gently curved shape of the waistband. 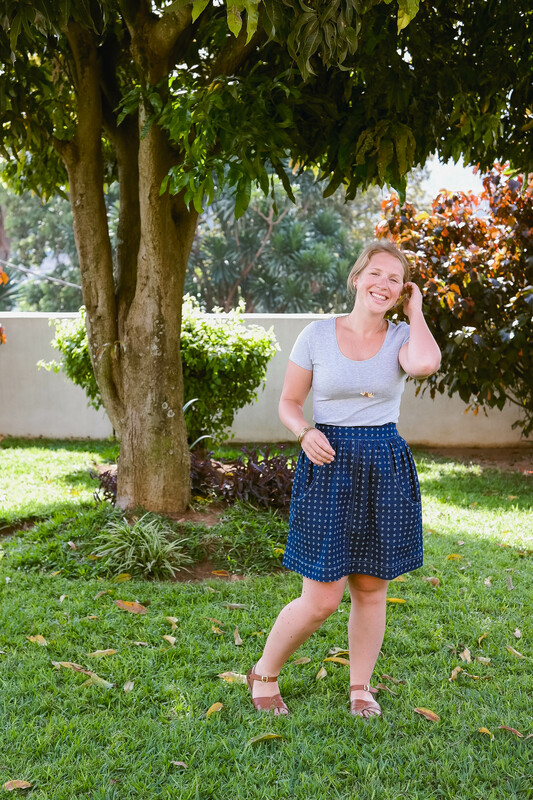 I previously made the Kelly skirt, which has a straight waistband and I can say that the curve makes a huge difference to the fit. I’ll be using it as a reference point for other patterns in future. This is the first of two makes from right at the beginning of the year. This lightweight jersey fabric is too fine for this dress really (it’s a tweensy bit see-through), but it does make it lovely and cool to wear, even with long sleeves. It also hangs in a draped slinky kind of way, which I tell myself stops it from looking like a giant nightie… right?? I have no idea why I never got round to blogging this. It’s maybe my proudest ever make, as it incorporates lots of first time techniques – flat collar, sleeve plackets, back yoke etc. 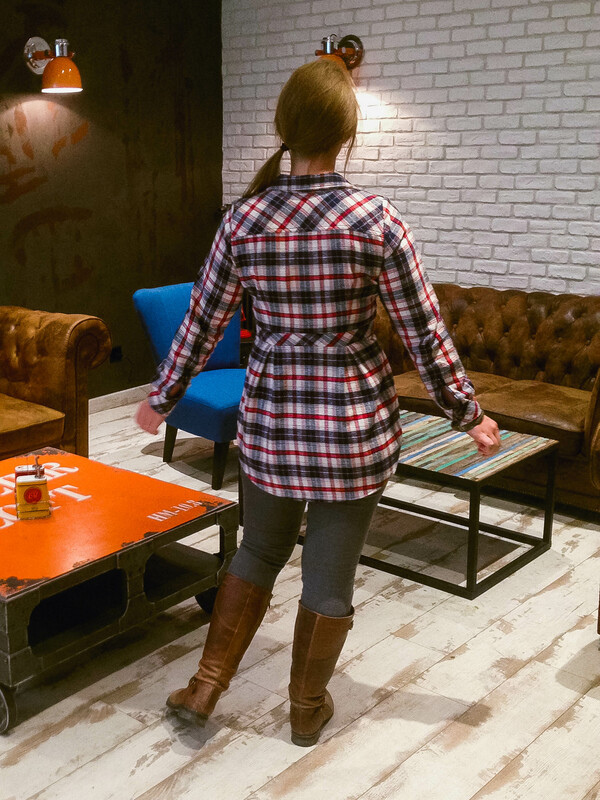 I’m also ridiculously proud of my plaid matching. I followed Lauren’s awesome tips, cutting the yoke and placket on the bias for contrast and using the notches to carefully match everywhere else. It makes me geekily happy every time I wear it, which is every time I go home to Europe, or to the cooler regions of Rwanda. I love the nipped in shape of this shirt. It’s definitely on the to-make-again list for this year. And that’s my amnesty done. Ready for a fresh start in 2016. I can’t wait to see what this year brings! In the vast world of sewing blogs, this little corner is small fry. 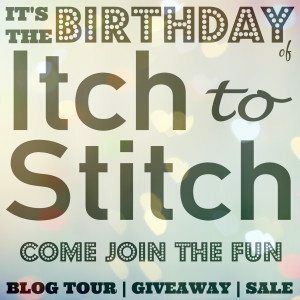 So I was pretty excited when Kennis invited me to participate in the Itch to Stitch Birthday Blog Tour. Celebrate a fab indie designer? Make something new? Give readers the chance to win a whole bunch of cool prizes? Yes, yes and yes! The theme of the blog tour is “Hack an Itch to Stitch Pattern”. 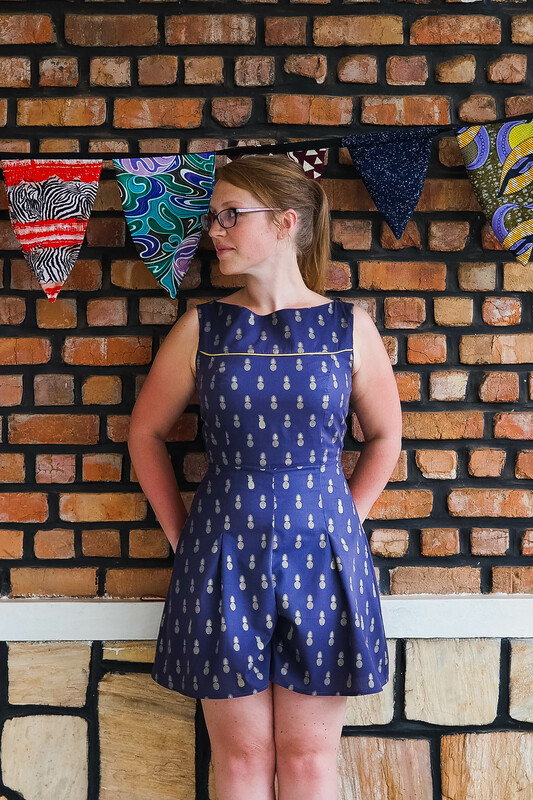 Now for anyone not familiar, pattern hacking is the act of modifying a pattern, either by tweaking it, adding new design elements or smooshing it together with a second pattern to create a glorious lovechild garment. I went for the latter. 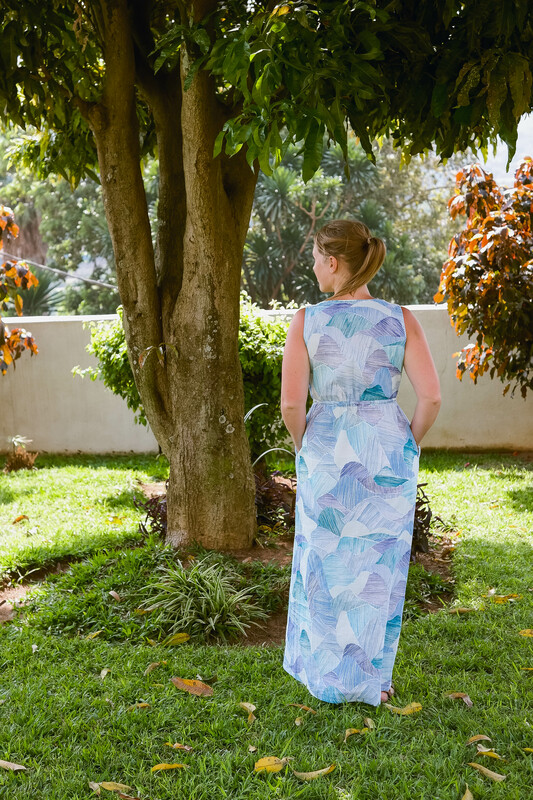 My starting point was the Itch to Stitch Marbella dress, a chic pattern with interesting design lines – princess seams, front and back yokes and a pleated tulip skirt. 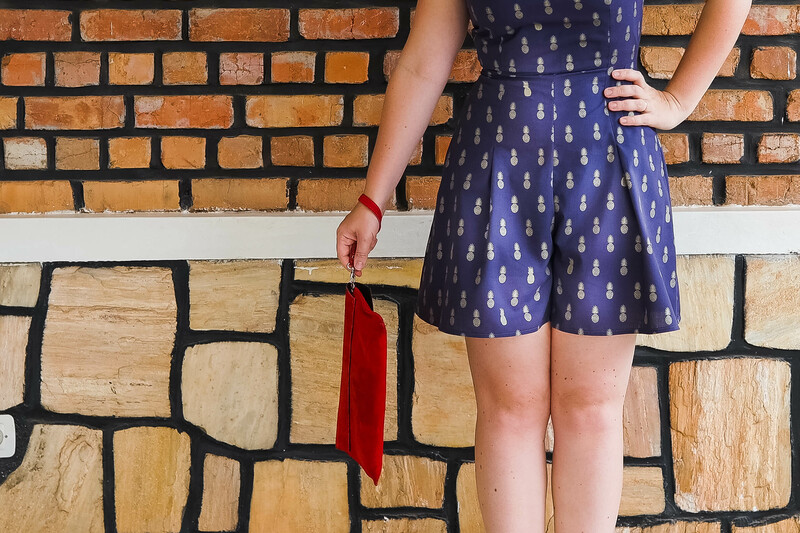 I decided that for my hack I would use just the bodice and combine it with shorts to make a one-piece “playsuit”. Side note: is anyone else a little creeped out by that as a term for grownup woman clothing? I have tried to make my peace with it, but it still feels uncomfortable. “Romper” is no better. The french call it a “combishort”, which I like much more. I feel like a woman in a combishort makes sensible decisions, runs efficient errands and has meaningful conversations, probably all with a Gauloise slung between two fingers. I think I might adopt that going forward (the term, not the chainsmoking). 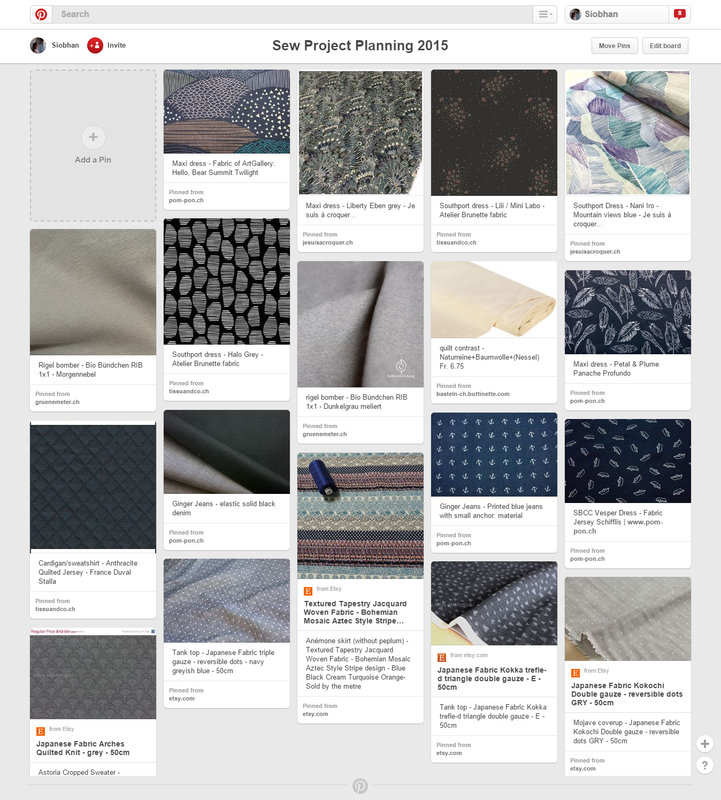 ANYWAY, I searched the interweb for a shorts pattern with pleats or darts that would allow me to continue the princess lines of the bodice and (hopefully) make it look like an intentional 1-piece, eventually settling on BlueGingerDoll’s Alicia shorts. 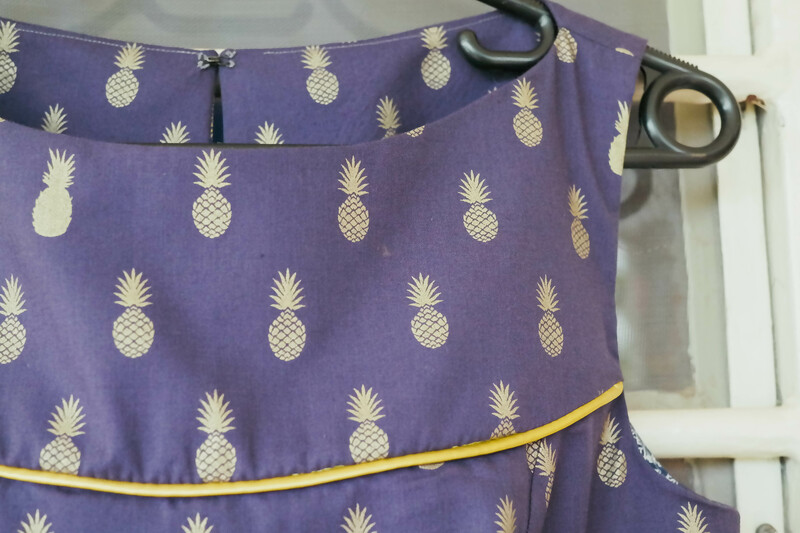 For fabric I went with this beautiful soft navy cotton covered in gold pineapples, part of my A/W fabric haul, bought on a recent trip home. I tried to be careful with pattern placement/matching but with all the curved seams and pleats and darts it was a little tricky. Since there was already a lot going on I didn’t add much in the way of trim, except along the line of the yoke. I’ve seen lots of lovely Marbellas where you can hardly tell there’s a yoke, but this seemed kind of a shame to me. It’s a feature of the design and honestly if I’m going to the trouble of cutting out extra pattern pieces, people should know dammit! So I stuck some superclassy gold pleather piping (previously seen here) along the front yoke seam. Yum. Since this is a birthday party, I think I’m entitled to sing the praises of the host a little. Starting with the revolutionary Itch to Stitch approach to PDFs! Using the layers function, you can “switch on/off” as many sizes as you want. No more eye-boggling counting of lines! Hurray!! Equally creative is the approach to fit, as the Marbella comes with a choice of 4 different cup sizes. As someone firmly in the “curvy” camp, I alllllways have to do an FBA, or otherwise fiddle with fitting in the bust area. Not so with this pattern. I did make a couple of small alterations in other areas (nipped in the waist and took out a couple of small wedges from the back neckline) but the fit around the bust was perfect from the start. Double hurray!! The shorts took a little more faff, to make them work for me. I have to say crotch adjustments still utterly mystify me. I would love to take a trouser-making course at some point and get to the bottom of it all (so to speak), but for now I just toile, adjust and repeat (aided by the internet). On this particular pair the crotch seam was crazy far back, so I added length to the back pattern piece… like, a lot of length… and it’s still not totally right… as a result I got weird pooling in the front, so I pinched that out and shortened the front crotch depth. I also added length to the shorts, top and bottom, to make them meet the bodice at my natural waist and give a little more leg coverage. Oh and I had to move the zip to the back seam for obvious access issues. I also decided to make life more difficult by trying to achieve a totally clean finish on the inside. I think because the bodice is lined, I felt the shorts needed to step up too. Also once the thought popped in to my head I also just had to know whether it was possible. Can you french crotch seams? Can you insert an invisible zip into a french seam? The answer is yes on both counts. 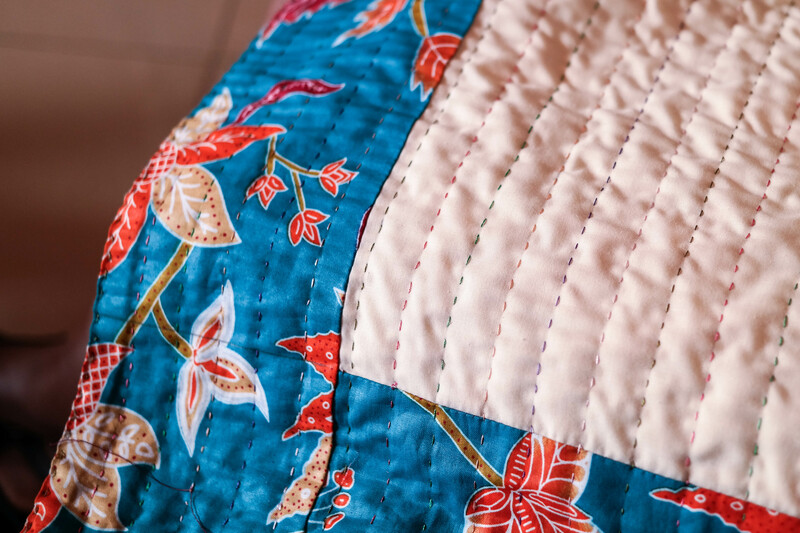 Jen at Grainline has a great tutorial on frenching curved seams. I think the key is to trim your allowance nice and fine after the first line of stitching, so there’s nothing there to cause wrinkle issues. Carolyn has a great guide on inserting an invisible zipper into a french seam. I am, as ever, so very grateful for the magical online sewist community. I’m pretty happy with my hack. I really like how the lines blend from bodice to shorts, and I’m pleased with the fit I managed to achieve on the shorts. Irritatingly, despite my toiling, the bodice has ended up a little tight, but it’s not drastic. Certainly won’t stop me wearing this beauty. Simply follow Itch to Stitch’s blog to be in with a chance of winning one of these patterns! I was recently invited to complete a survey on sewing habits and consumerism and I wanted to encourage you to do the same. 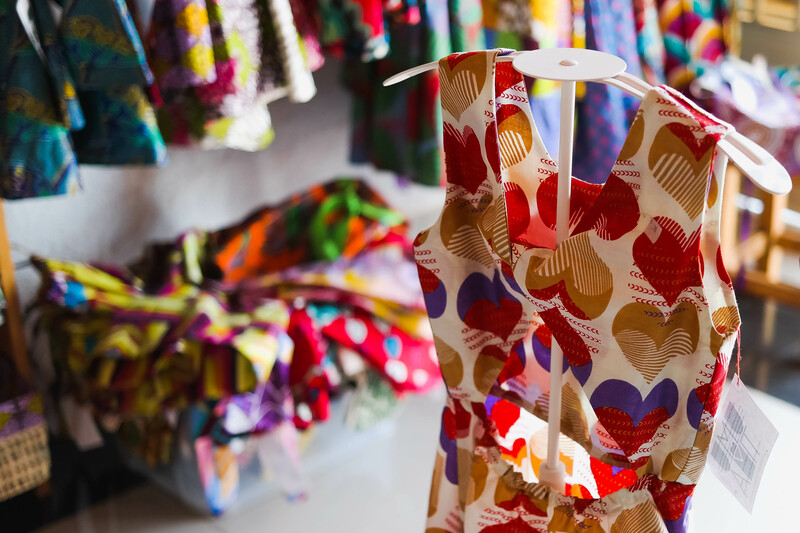 The research is being conducted at the University of Cambridge and is looking at ‘Sewing and Behaviour Change’ in relation to more sustainable approaches to clothing. There is a whole tangle of issues around the clothing industry, from the wages and labour conditions of the people who make clothes, to what happens to clothing once we decide we don’t want it any more etc. Many of us are concerned by these issues, but it’s not always clear what the answers are. Research like this can hopefully help all of us (the clothes wearing/ buying/ making/ disposing masses) move forward and come up with sustainable solutions. It’s a super-quick survey (10mins max I promise) and totally anonymous via the power of surveymonkey. It’s open to everyone (sewists and non-sewists) and at the end you have the option of entering a prize draw for the chance to win £50. 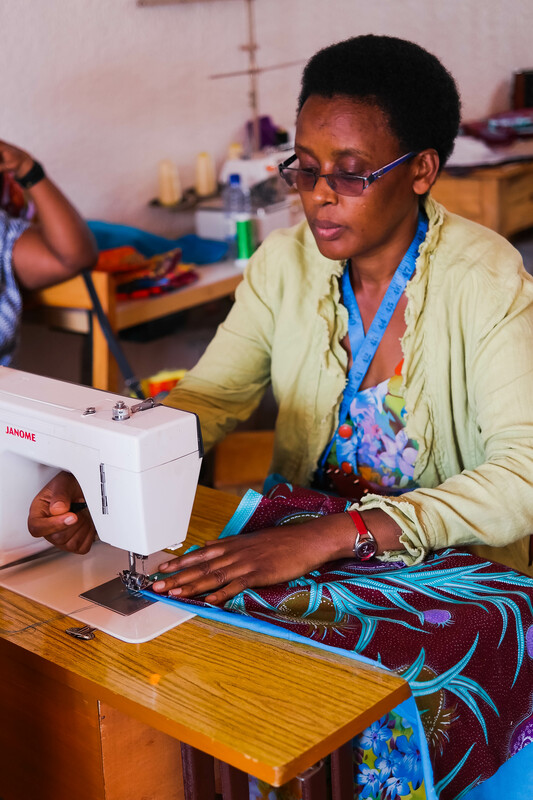 Today I’m excited to be featuring one of Kigali’s most vibrant sewing cooperatives. 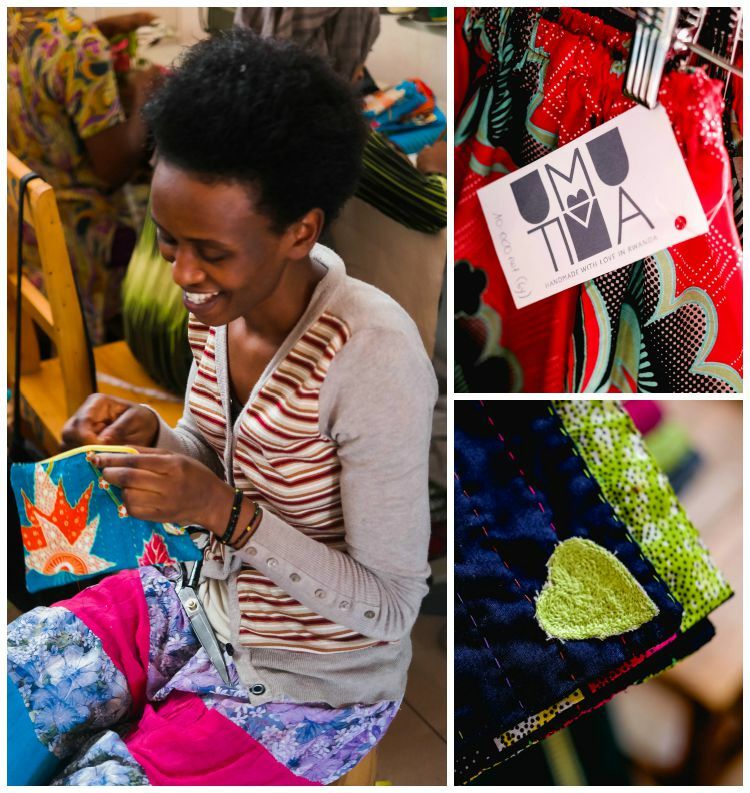 Umutima (meaning “heart” in Kinyarwanda) was launched in 2013 and is a wonderful success story of women using textiles to grow a business and transform lives. I hope you enjoy getting to know this very special group of sewists as much as I did. If you’d like to buy any of the products featured, details can be found at the bottom of the post. Umutima is based at the Nyamirambo Women’s Centre (NWC), a small organisation providing education and training for local women. I arrive outside the Centre at lunchtime and pause outside awkwardly. I’ve arranged the visit in advance but I’m still anxious that I’m going to be in the way, holding up a busy working day. I step inside and anxiety melts away as I’m warmly greeted by Marie Aimee Umugeni, NWC president. Within minutes we’re sitting together on one of the shop sofas, chatting away about all things sewing-related. Marie Aimee is easy and fascinating to talk to: a motherly head of the NWC family and a keenly-focussed creative entrepreneur. Since then Umutima has grown in all kinds of ways. From six women there are now 28, aged between 18 and 56 and all paid a monthly wage. 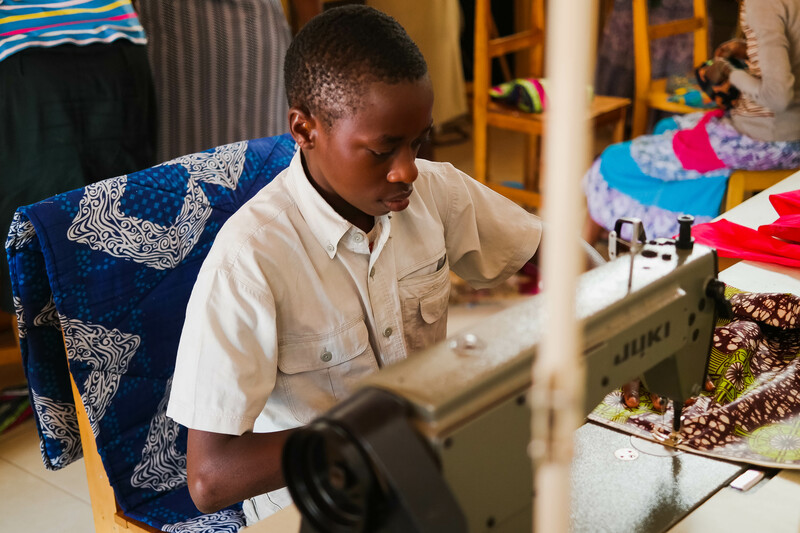 On the day I visit they are also supervising a young student, Jean-Paul, who is doing an internship as part of his vocational training. Technology has advanced too. In the beginning the women all worked on manual, pedal-powered machines, but as the business grew, they were able to save up and buy several electric machines. With some additional donations they added four industrial-standard Jukis to the fleet, and even an overlocker, which Marie Aimee and I enthuse over together. “It’s a much better way to finish the seams” she nods, “especially on the clothes – much more professional”. 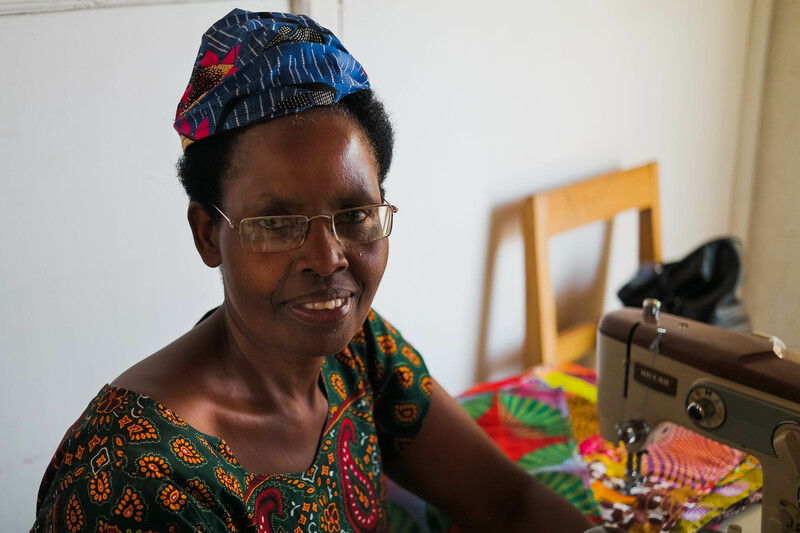 As we move around the sewing room, we stop to chat with some of the women working there. Bernadette shows me how all the sewing machines are still connected to the old pedal tables, and so can be operated manually when the power cuts out (as it often does). She laughs at my lack of pedal experience, “Electric machines are easier because pedalling takes more energy… but it’s not complicated, it’s like riding a bike!”. 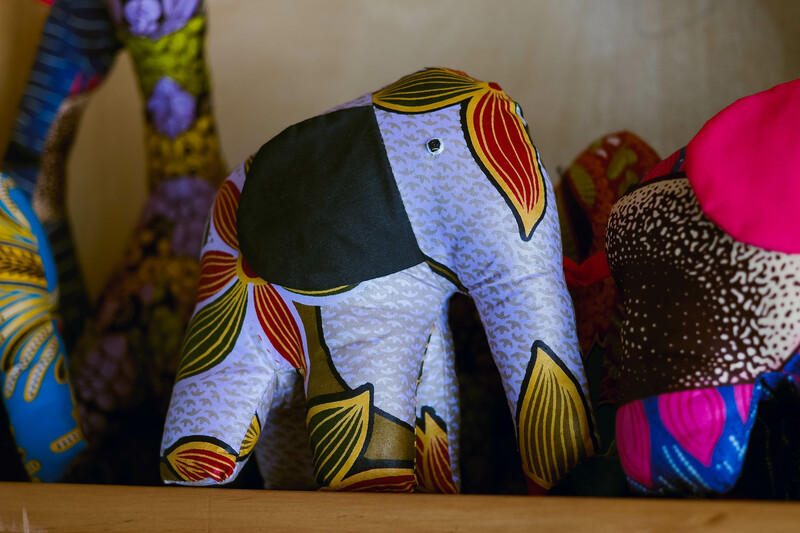 They also look for ways to take traditional crafts and reinvent them a little, by adding some Umutima personality. 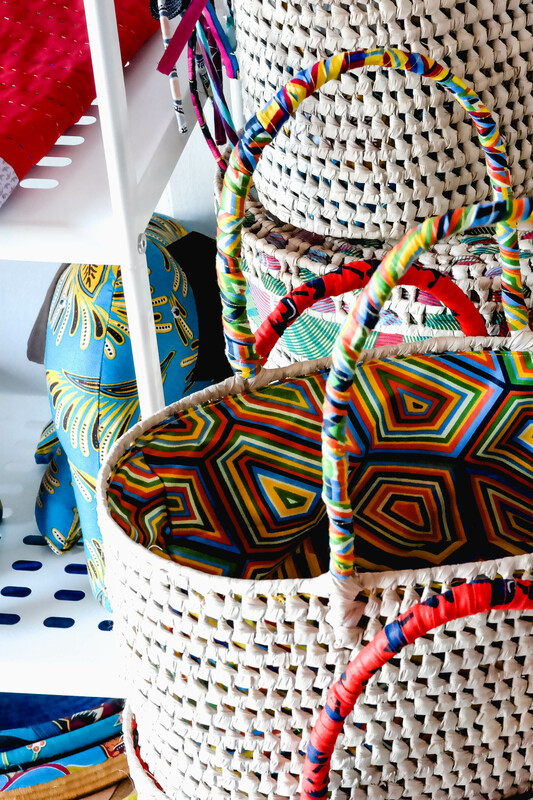 Basket-weaving, for example, is a well known Rwandan craft, and there are many cooperatives making beautiful baskets in different combinations of colours. Umutima work with a basket-weaving cooperative in Gatsata, but ask them to weave in just one natural colour. The baskets are then brought to Umutima and kitenge fabric is woven and wrapped into the structure. The result is simple, modern and totally unique. 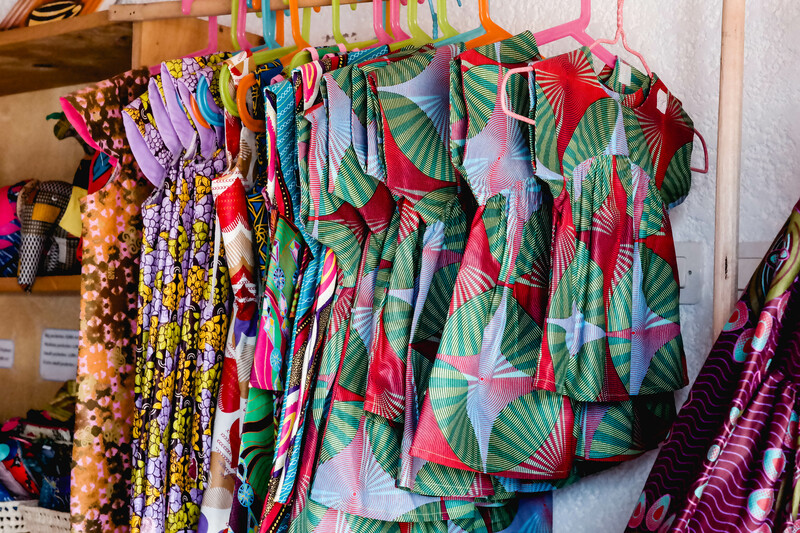 Umutima’s professionalism and strong brand identity are noticeable throughout the store. Every item is neatly labelled with a branded pricetag and discreetly decorated with a small embroidered heart. 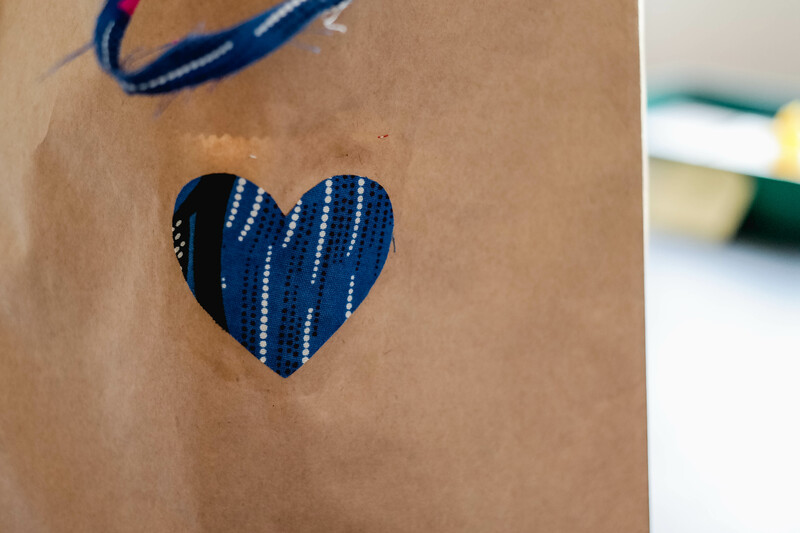 Verena, a gifted hand-stitcher, shows us how she adds the embroidered hearts. 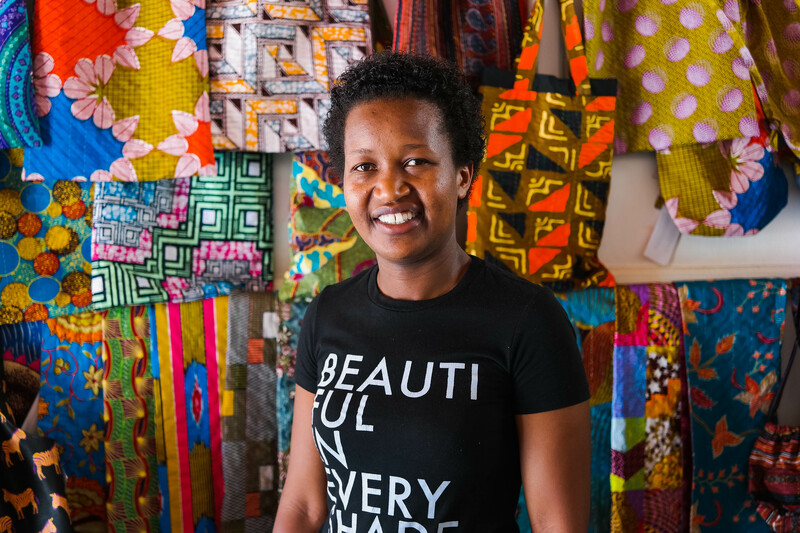 Her favourite pieces to make are the table runners and cushion covers, both of which feature the hand quilting, which has also become something of an Umutima trademark. With my lunchbreak undeniably over, I reluctantly say my goodbyes and make a quick purchase – a fabulous zebra-covered bag I just can’t leave behind. I step out of the centre into the sunshine, filled with the positive energy of this creative, enterprising group of women. Feeling inspired to shop?? If you are based in or passing through Kigali, this is easy peasy. 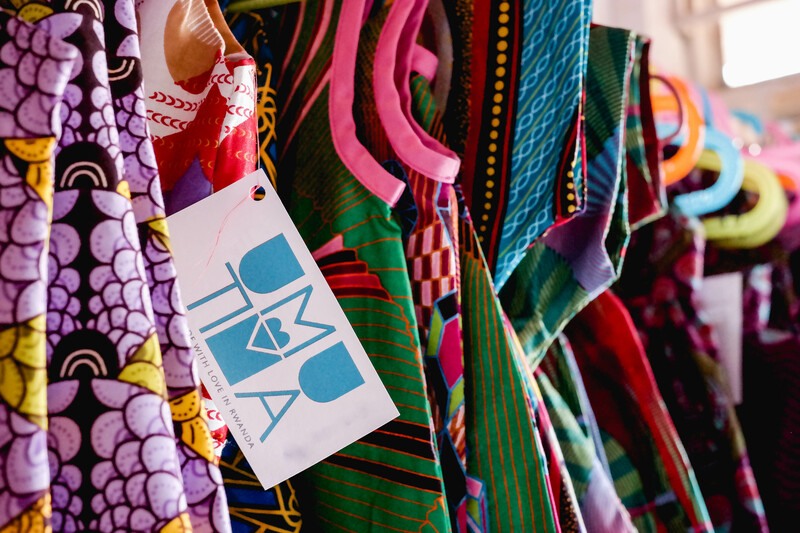 You can find Umutima’s products in their shop at Nyamirambo Women’s Centre and now also at Inzora rooftop Cafe. For those further afield, you can browse Umutima’s catalogue on their webpage or check out all their newest creations on the NWC Facebook page. If you would like to ask questions or place an order you can email them – nwcoffice(at)gmail(dot)com. And that’s about all folks! I know this was a loooooong post (thanks for sticking with) but hopefully it was an interesting one too. I’d like to do a few more features like this going forward, focussing on the role of fabric and textile crafts in different communities. It’s still early days so please feel free to leave feedback and suggestions in the comments below, I’d love to know what you think. It’s September already! For me this is an exciting month as I’ll be heading back to Switzerland for a week of happy holidays. It’s been several months since I saw the Mr and I am so looking forward to being home with him for a little bit. I can’t wait to sit by the lake, admire the mountains, eat pumpkin everything and yeah, it’s going to be great. Wha?? Muted colours?? Simple graphic prints?? Whose board is this?? I honestly wasn’t aware I was selecting such a limited range, I was just pinning what I liked… I think it must be an innate autumnal impulse kicking in, despite the fact that autumn doesn’t happen here. We do get a season change – dry to rainy – but it’s not like there are leaves turning brown or shortening days (equatorial living means 12 hours of sunshine year round). Anyway, an autumnal palate is clearly what I’m craving so I’m just going to roll with it. Details: Established this year (2015) and based in Western Switzerland, Tissu & Co is an online-only store in English and French. Fabric lines include Atelier Brunette, Liberty of London, Lotta Jansdotta and Michael Miller. Pattern lines include Sewaholic, Thread Theory and Tilly and the Buttons. What I loved: The owner Ana’s customer service!! I had a couple of technical issues when I placed my first order but Ana was lightning quick in responding and solving them. Also if you subscribe to the newsletter you get a 5% discount, always appreciated! My fabric pick: This lovely deep grey quilted jersey, for a snugly Laurelhurst cardigan. Details: Pom-pon is a bricks-and-mortar shop in Zurich, with an impressive online store. The site is in German only, but but don’t let put you off – Google Chrome autotranslate is your friend! Fabric lines include Cotton and Steel, April Rhodes and Melody Miller. Pattern lines include Deer and Doe, Merchant and Mills and an intriguing German brand called “Canape”. What I loved: The search/browsing functions. Fabric can be easily filtered by type, pattern, designer etc. 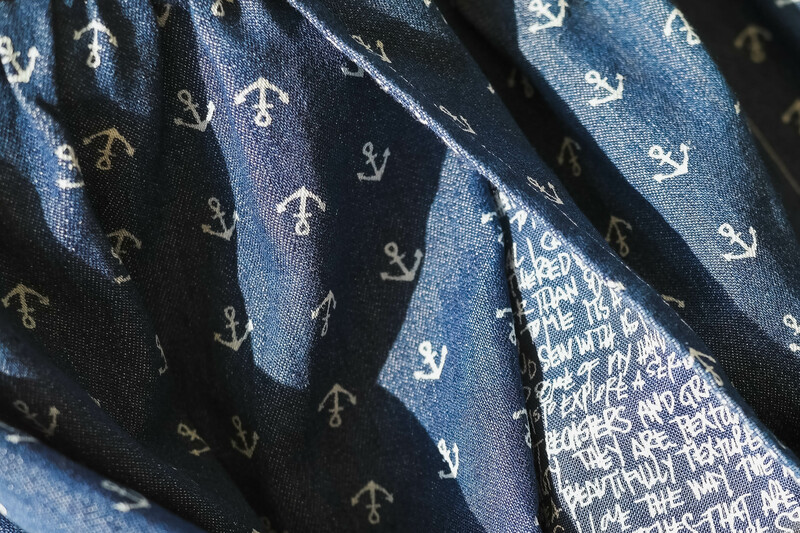 My fabric pick: This nautical denim, covered in tiny anchors, for a Brumby skirt. Details: Another newcomer established this year (2015), Je suis à croquer is an online-only store in English, French, German and Italian. Fabric lines include Nani Iro, Liberty of London and Riley Blake. No patterns, but a nice little haberdashery section with bias bindings and pipings. What I loved: The name! Literally translated it means “I am chewable”… but it’s used to mean something is adorable or cute. 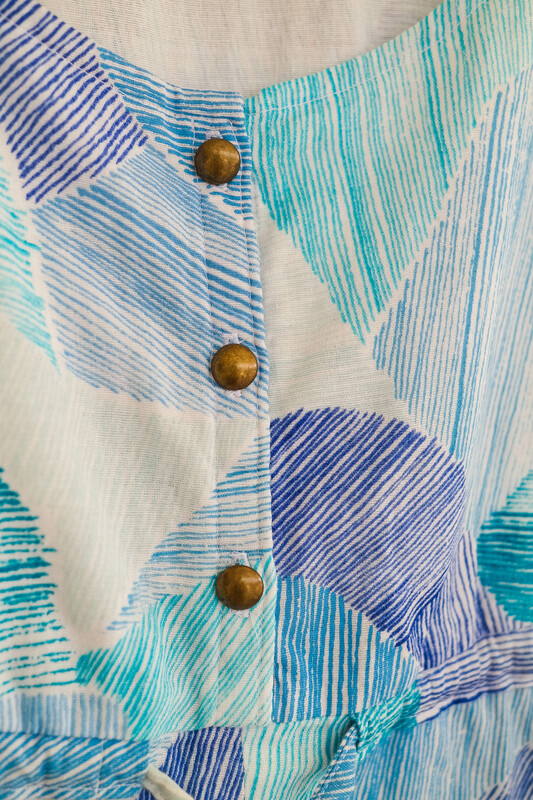 My fabric pick: This Nani Iro double gauze – Mountain Views in blue. I’ve loved it since I first saw it and was so chuffed to find a Swiss stockist. This one is for another Southport dress. So that’s some of my shopping for A/W 2015. How about you? 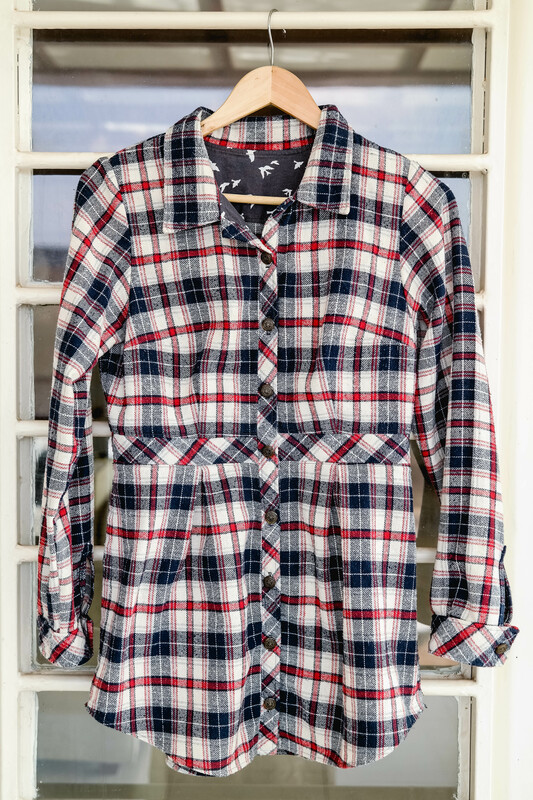 Do your tastes in fabric change with the seasons or do you have more of a year-round signature style? What fabrics are you eyeing up at the moment? P.s. You can find more sewing resources for Switzerland (plus France, the UK and now Kigali) in the Sewdirectory.